I feel I will be doing a lot of people a favour by reviewing Hamam Omerye as I am sure you are wondering what it’s all about. I know I was before I had visited it a couple of weeks ago. I never knew if it was open, if it was working, if one had to be a member or if they accepted walk-ins. Let me tell you this: it is indeed open, it’s revamped, it’s beautiful and it’s fantastic value for money. Apart from the standard pampering services and Turkish baths you can now also enjoy a glass of wine in their secret garden at the back. So let’s get some facts straight. 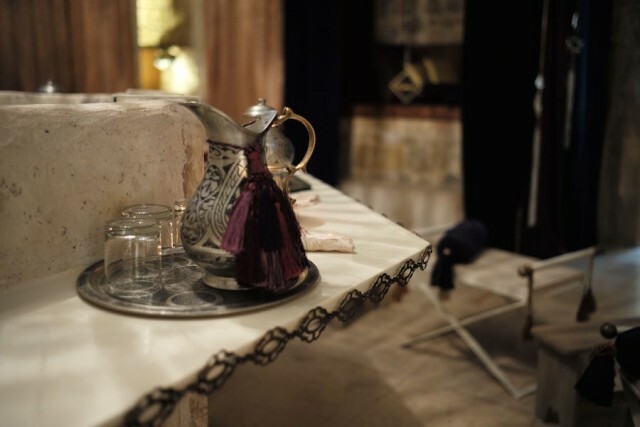 Although public baths were places for socialising, conducting business and of course bathing that date back to the Greek and Roman times the “hamam” was actually more of an Ottoman thing. This specific one, in fact, was donated to the city during the time of the Ottoman Empire in 1570. Historically it was used for more than just bathing. It was a place for body and soul purification and cleansing. Although, nowadays it is mainly used for relaxation the harmony, positive energy and mind/body calming effect is obvious from the minute you enter the main Omerye lounge. Although it has been up and running for some years, it was closed for sometime and has re-opened last year with a new face and a new attitude. Obviously the tradition remains. 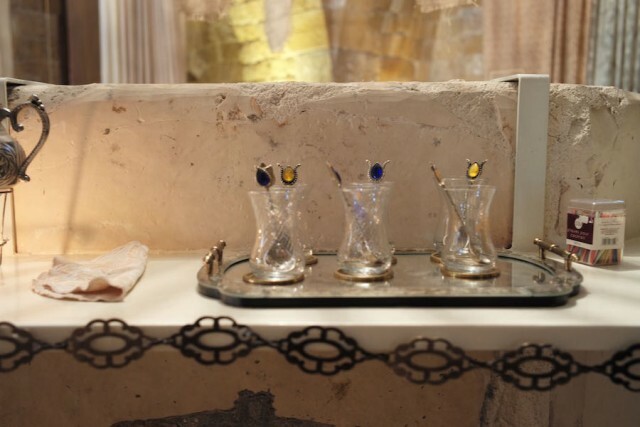 The Hamam Omerye consists of more than just hot baths. 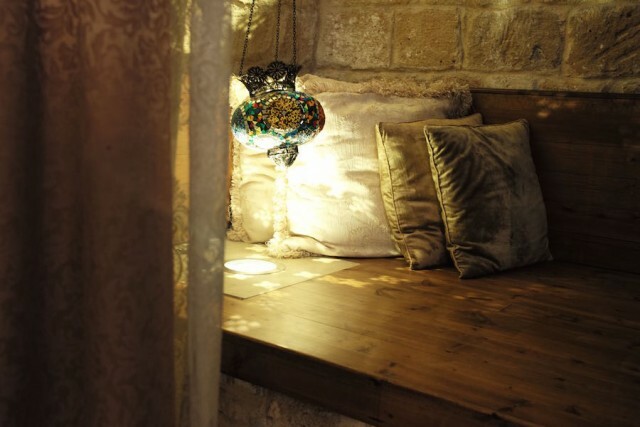 You enter through the main area, which consists of a fantastic, high ceilinged, stone lounge which along with the dark wood, small cabins enclosed with long, beige curtains and the traditional Turkish touch create a fantastically tranquil peaceful ambiance. 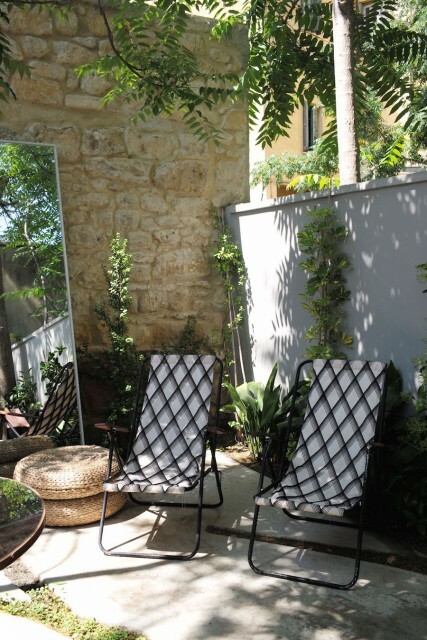 This is where one can have a massage and relax over a cup of aromatic tea. On the right, there are the actual baths that include a changing area, a large “hamam” (the space with the hot steam and water where you can relax). If you are minded to follow tradition, although on most days men and women can use the entire Hamam Omerye, on Fridays it is strictly “men’s day” while Tuesdays and Thursdays are for women only. On the left of the main cabin area apart from a couple of private massage rooms there is my favourite part, the small, secluded and secret garden. 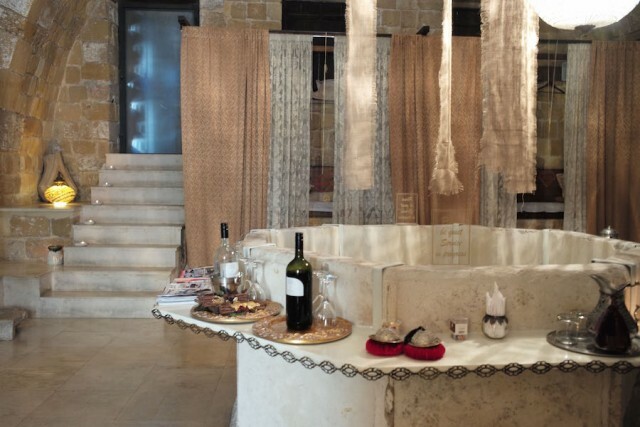 Here you can have a cup of tea or a glass of wine after the use of the baths or any of the services offered. Just by sitting there away from the city noise, the new buildings, the cars and the pollution, surrounded by the high eucalyptus trees and the stone walls it is not hard to visualize what it was like a few hundred years ago. Now for the more important stuff, as we are approaching the middle of the summer, “hot baths” do not sound very appealing. You can do what I did: have a 35 minute foot or back massage in the main cabin area, and then relax in the garden over a cup of tea or glass of wine. 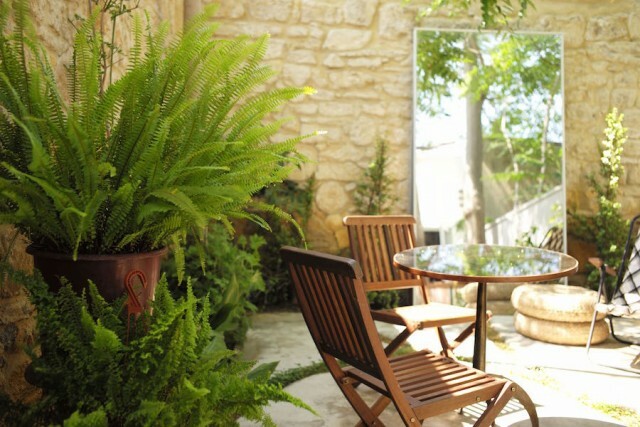 Sarap 75′ For 2 €45/For 4 €80 : Enjoy Hamam Bath Use 25′ and Cabin or Garden Relaxation with bottle of wine. Kara Sabun 25′ €35 : A fantastically refreshing body scrub for the summer using a kesse glove and black, eucalyptus soap. Ayak 25′ €30 (foot massage): A short service that can make you feel “renewed” after only 25 minutes. I personally thought it was the most efficiently spent 25 minutes since it made me feel so refreshed and relaxed. As it is performed in the main cabin area, I would advise you to do it so you can experience the“Hamam Omerye” vibe at its fullest. 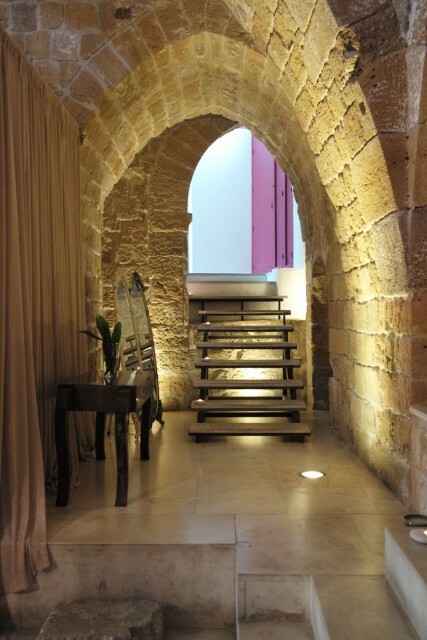 My favourite part is that they also do hot yoga (Okram Yoga) in the hamam, with an offer that expires on the 30th of June where you can get a complimentary 25′ yoga session in the garden and 25′ hot yoga session inside the hamam! Trust me when I tell you this place is worth a visit. Given the breadth of the services offered (and of course the fact that they have wine), I am sure you will find a way to use it and live the full experience in the way you want.